Time to shine. 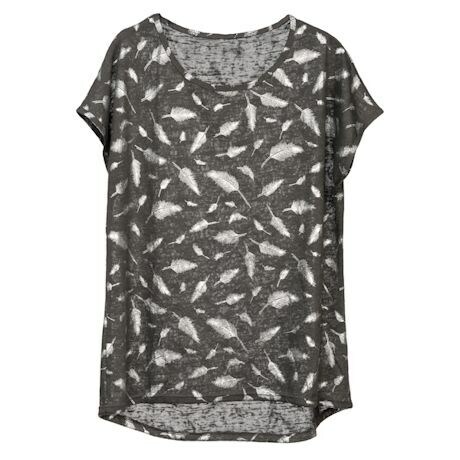 These lightweight tops positively glow, thanks to a silver-touched featherweight leaf print that catches the light with every movement. 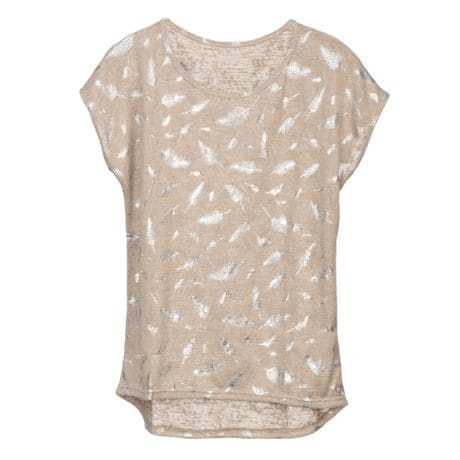 Comfortable and stylish, with a drop-shoulder cut, relaxed scoop neckline and high-low hem. Hand wash to preserve metallic finish. 95% polyester/5% spandex. Imported. 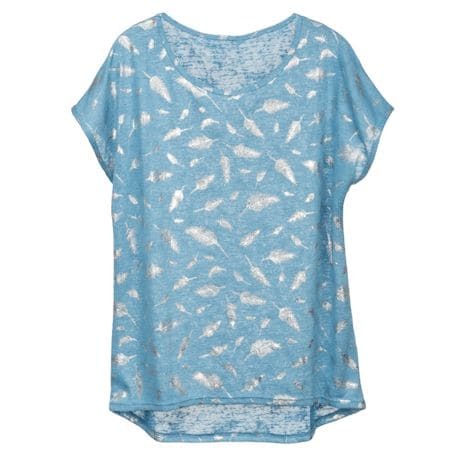 S/M (4-8), L/XL (10-14); 20¾"L. Choose Smoke, Misty Blue or Sandstone.